The art of making sparkling is explained (and tasted along the way), from base wine to corking and wiring. 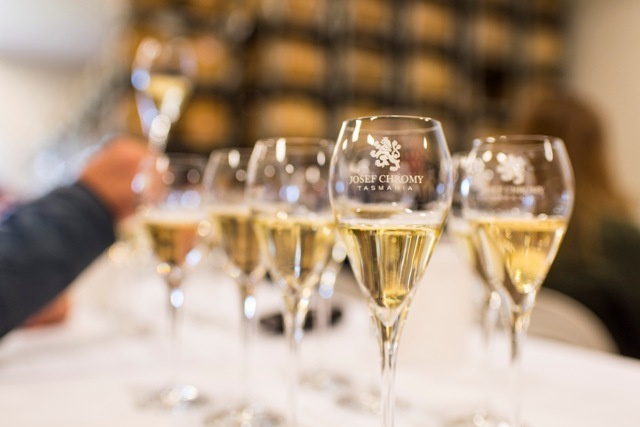 The tour commences at Cellar Door, taking in the history of the vineyard and Joe's story, before moving on to the winery to step through the winemaking process, before we focus in on Sparkling wine. Guests will be taken through the sparkling wine making and disgorging process, then work in the laboratory to trial your own liqueur d'expedition dosage to craft a bottle of sparkling to your exact taste. Each guest will receive a bottle of their blend to enjoy on the day and may order sparkling wine at their own dosage rate to be sent following their visit. Guests conclude with a 2 course lunch matched with wine and a cellar door wine tasting. The tour includes a 300m walk between the cellar door and winery. The tour departs cellar door at 11am sharp.